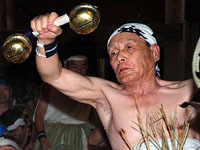 A long autumnal night, Ogre Dance young and old. 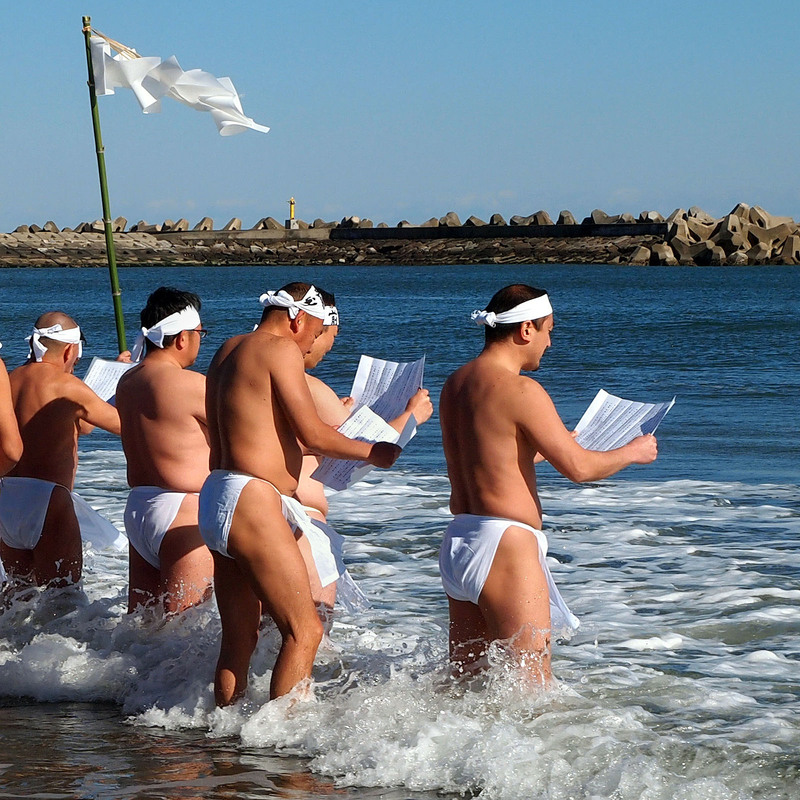 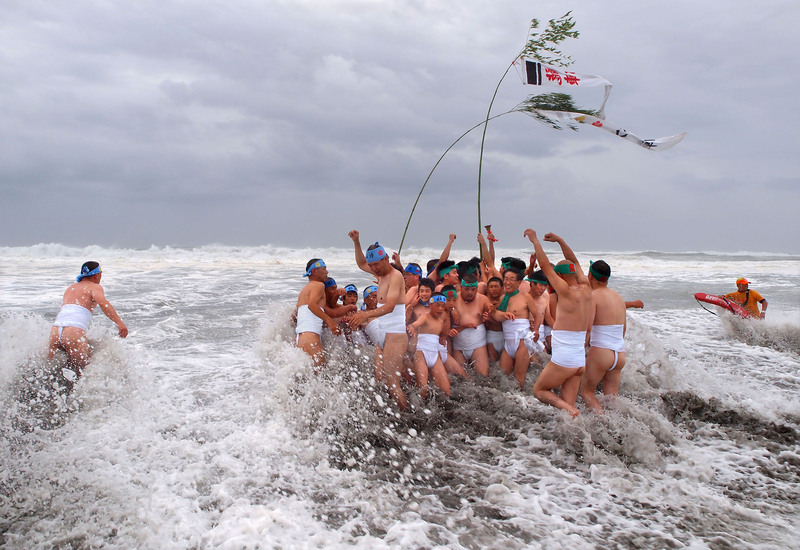 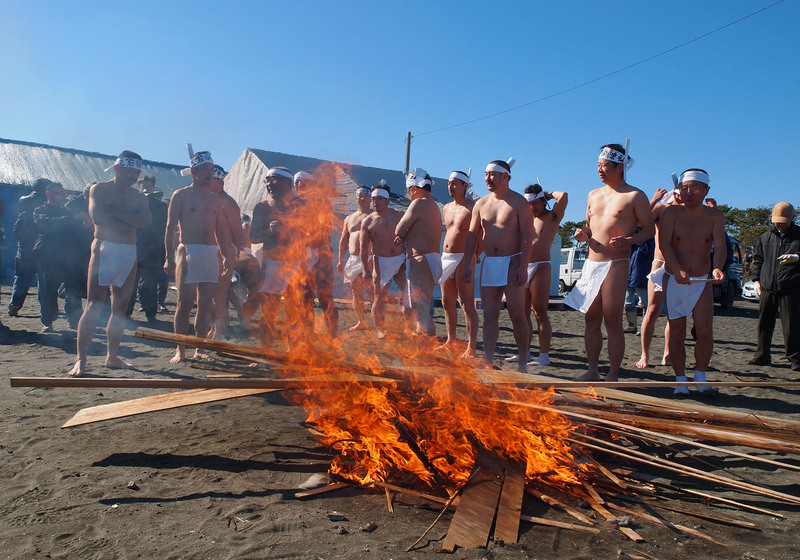 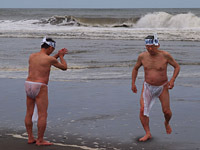 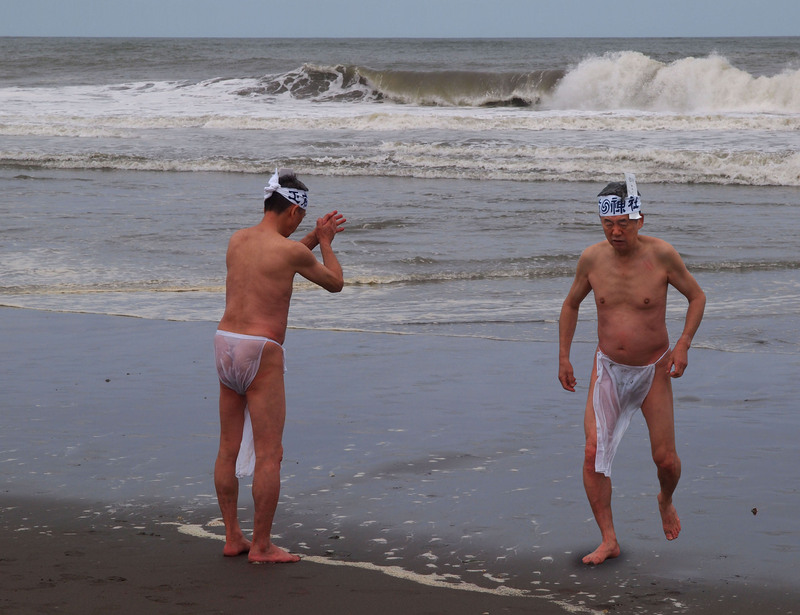 Naked water purification at beach, the ascetics wearing fundoshi loincloth in the coldest season. 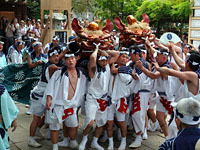 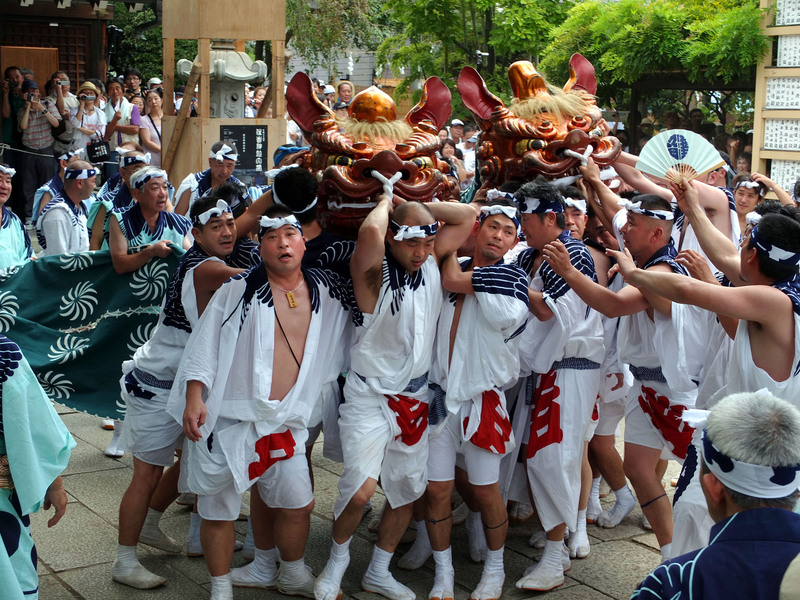 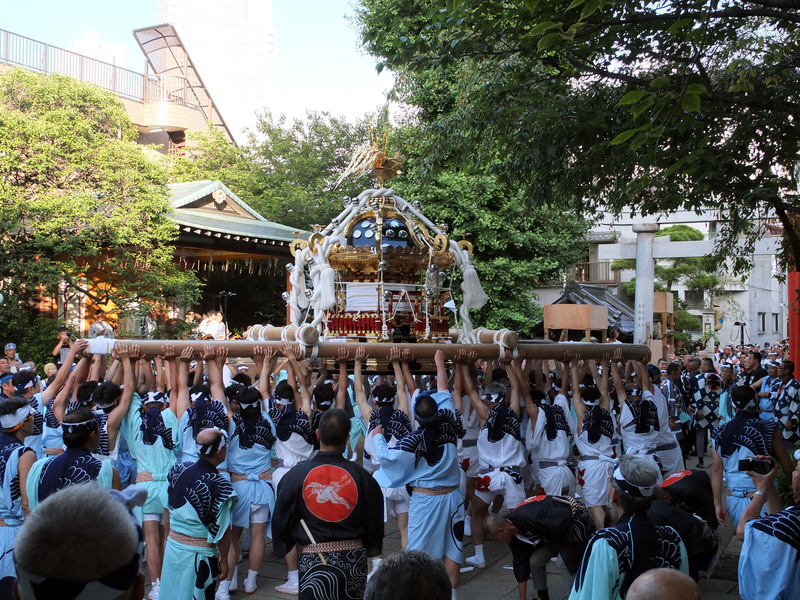 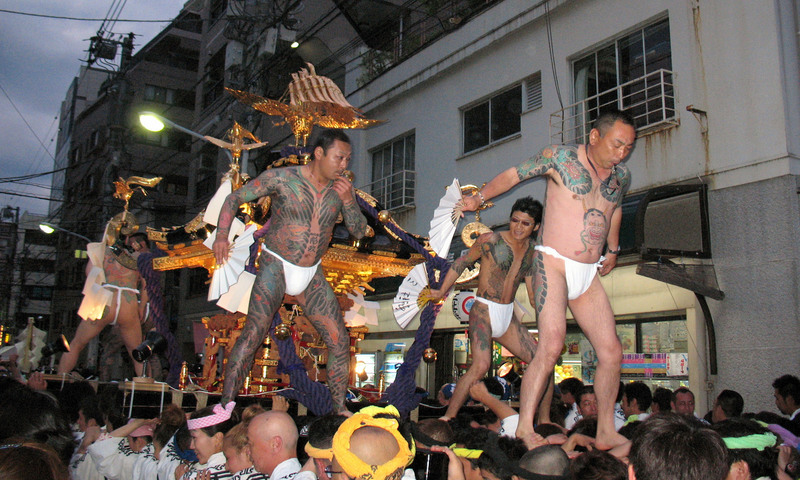 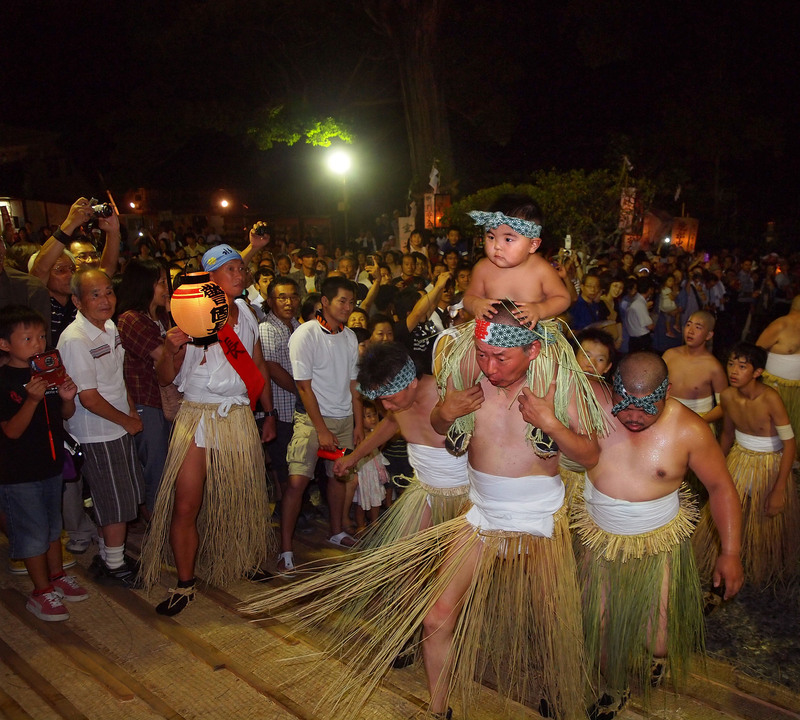 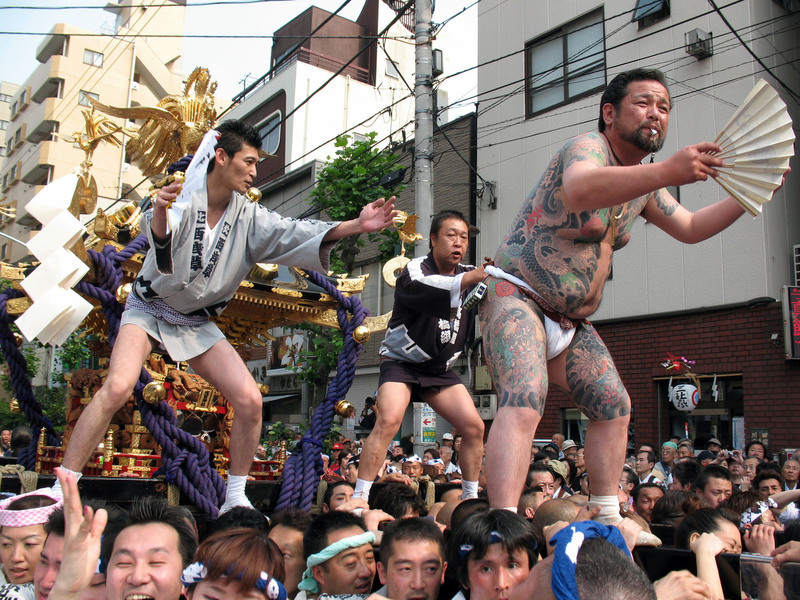 Sankita of tattoo and fundoshi loincloth, raising a portable shrine. 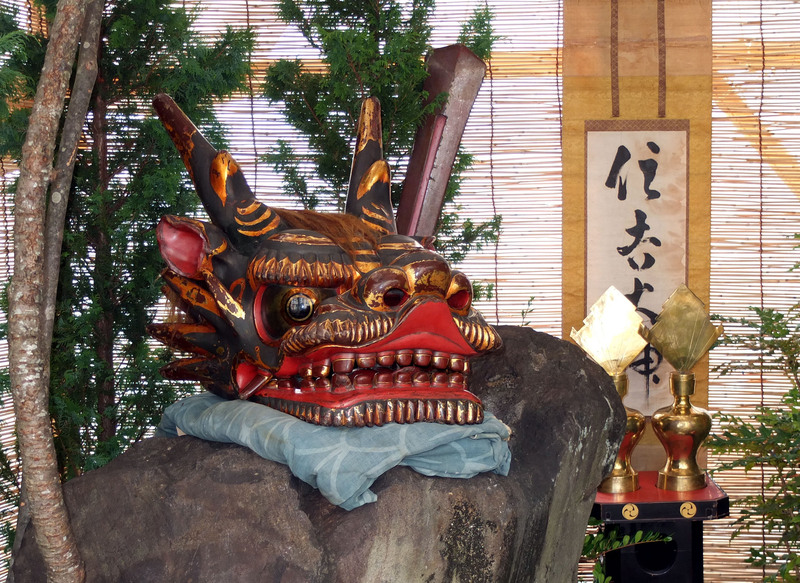 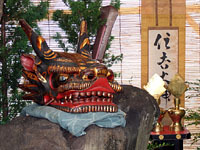 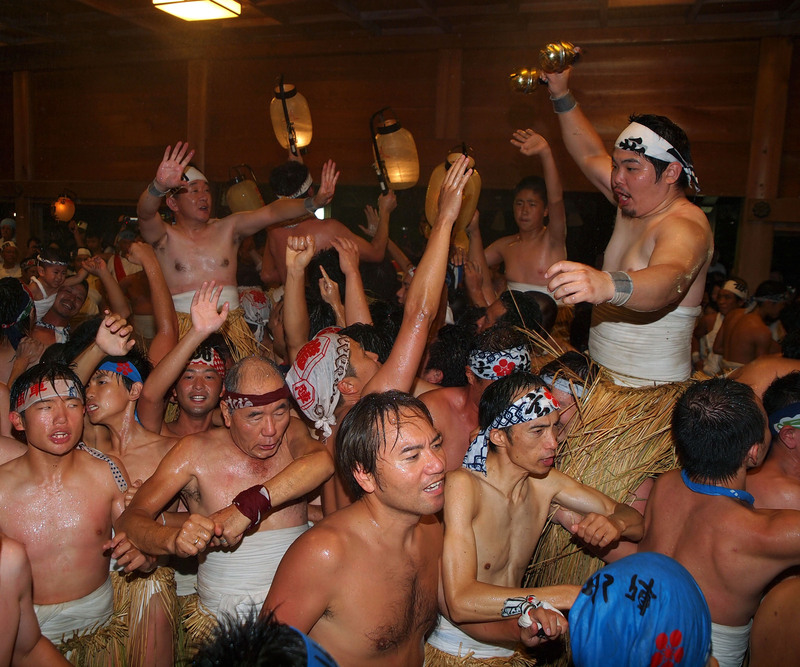 The middle of the autumn night, dance of ogre ringing a bell. 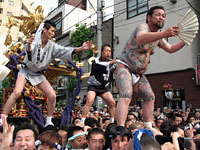 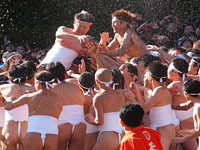 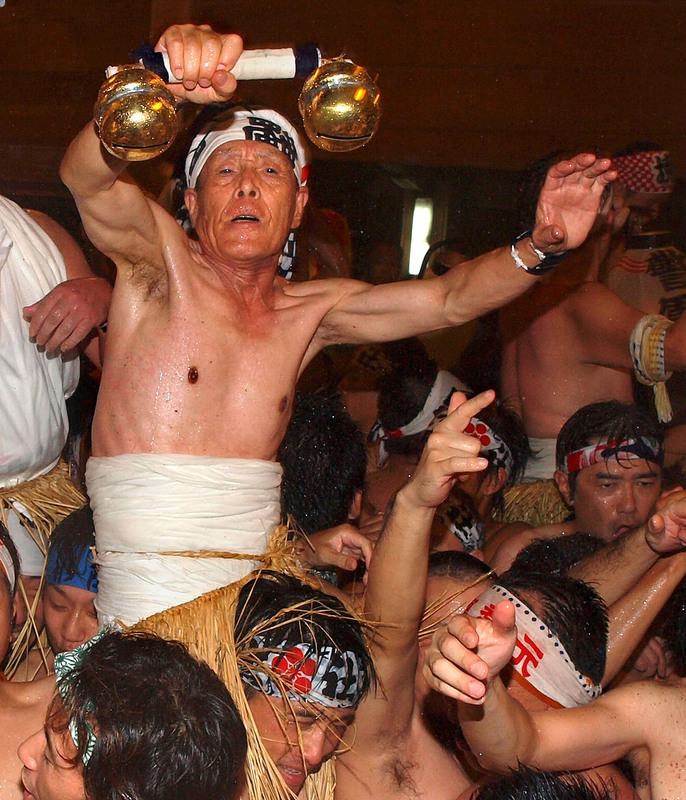 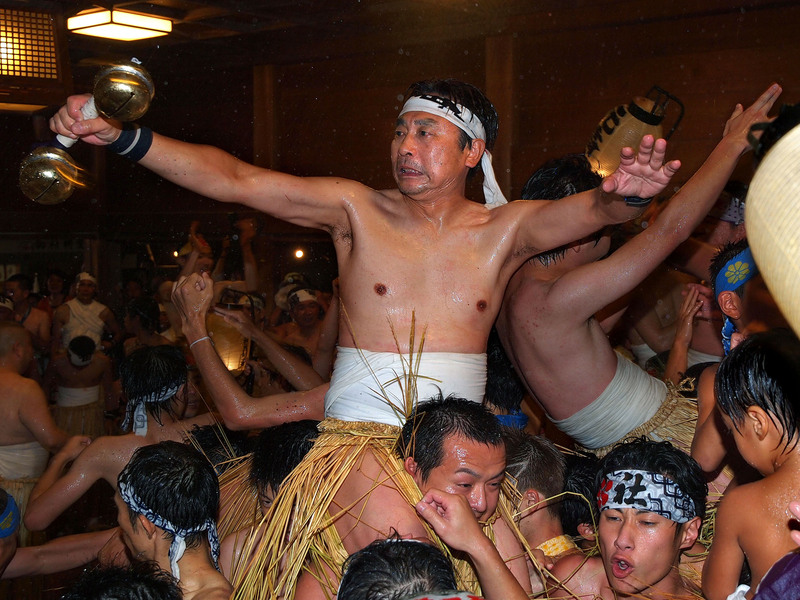 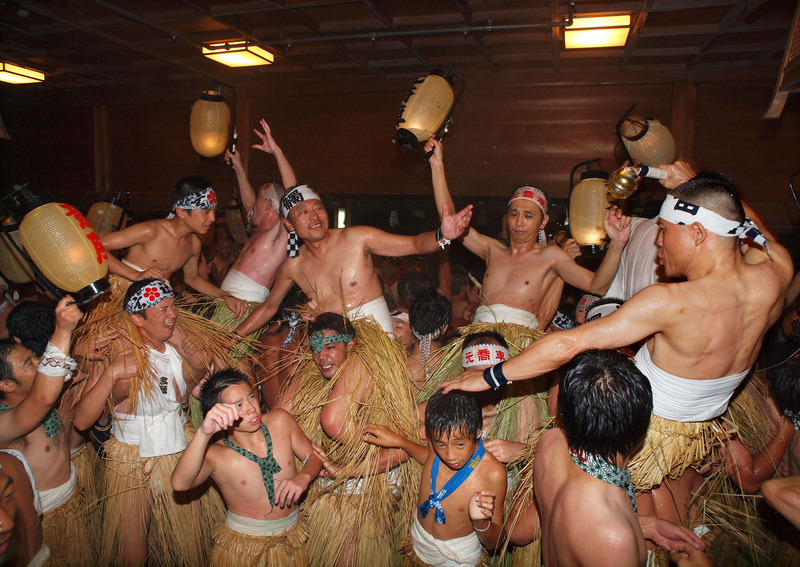 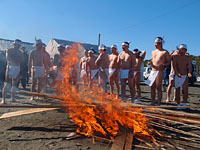 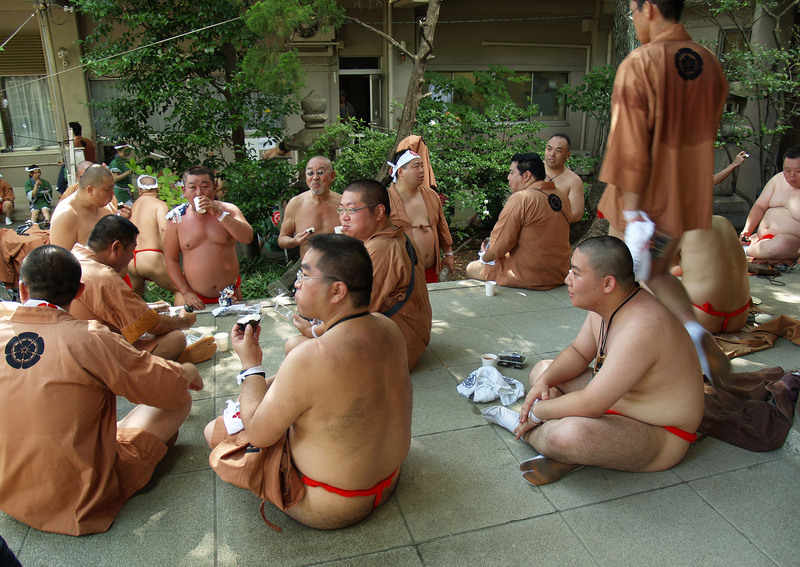 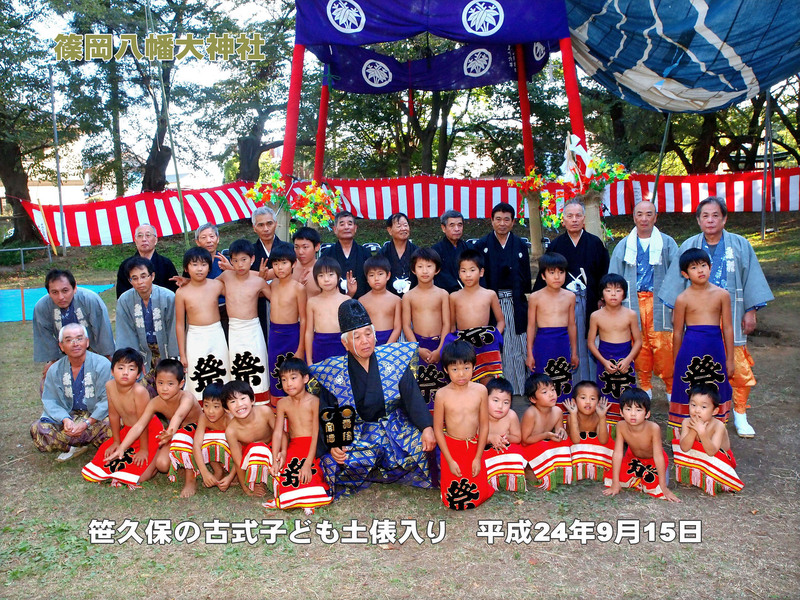 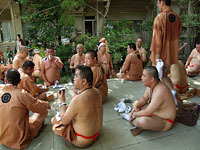 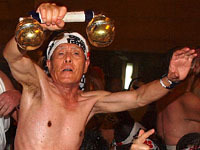 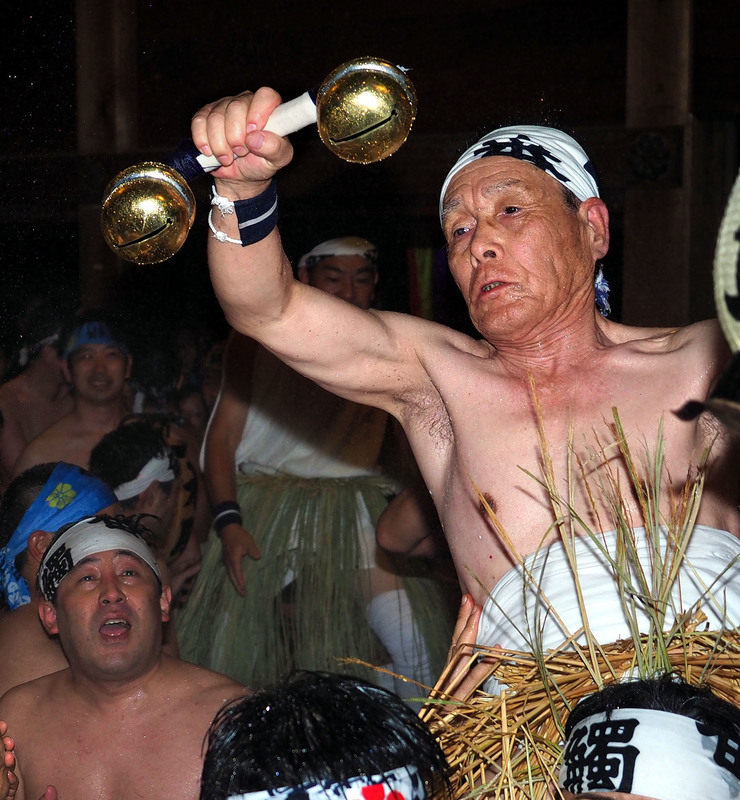 The back Chichibu, sweet sake scattering wearing white loincloth. 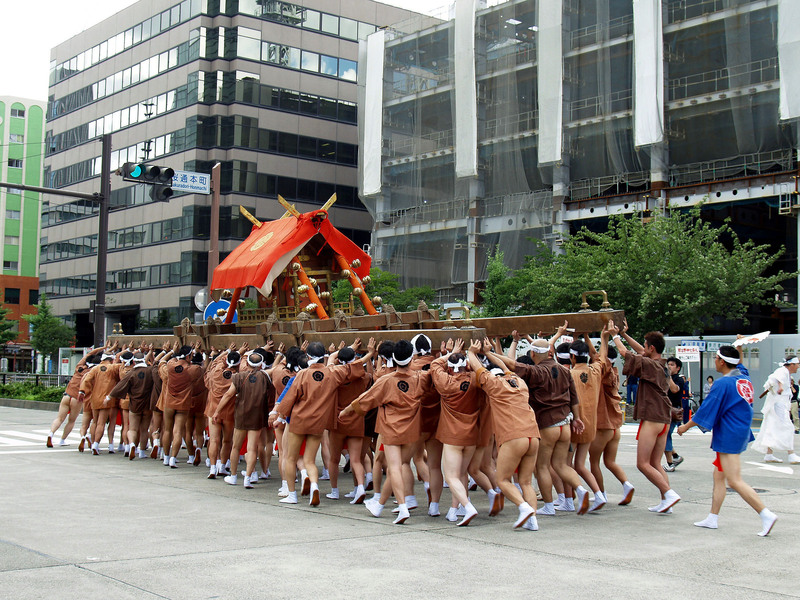 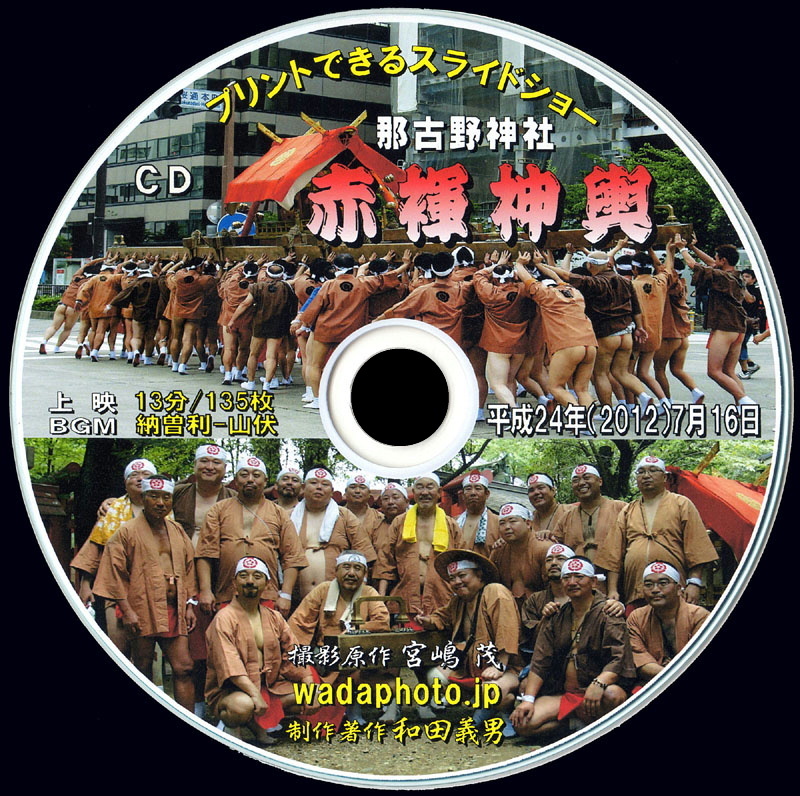 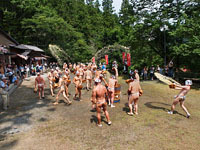 Summer festival, red loincloth in the valley between tall buildings. 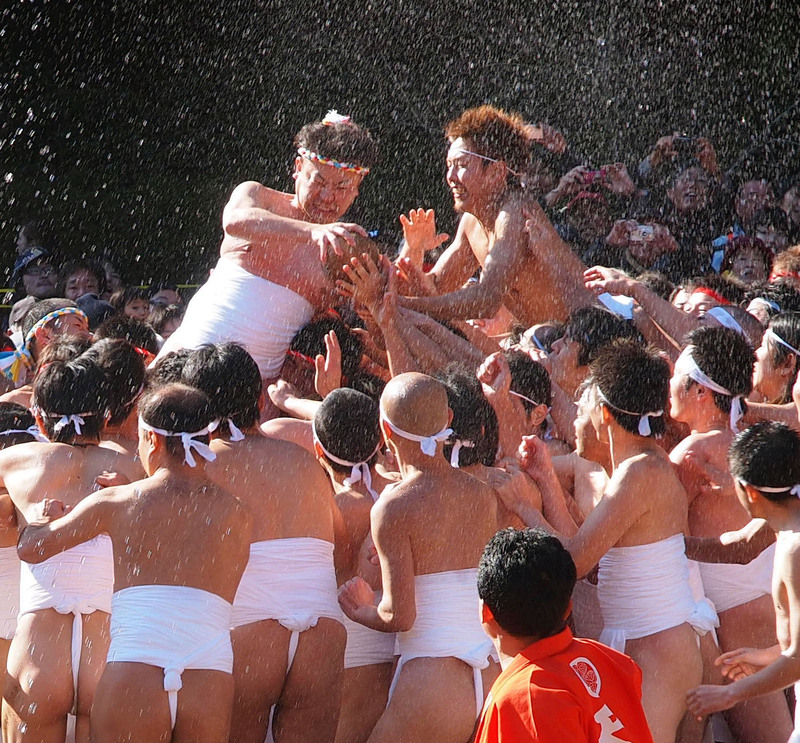 The winter sunshine, ascetics of loincloth raising a shout of victory. 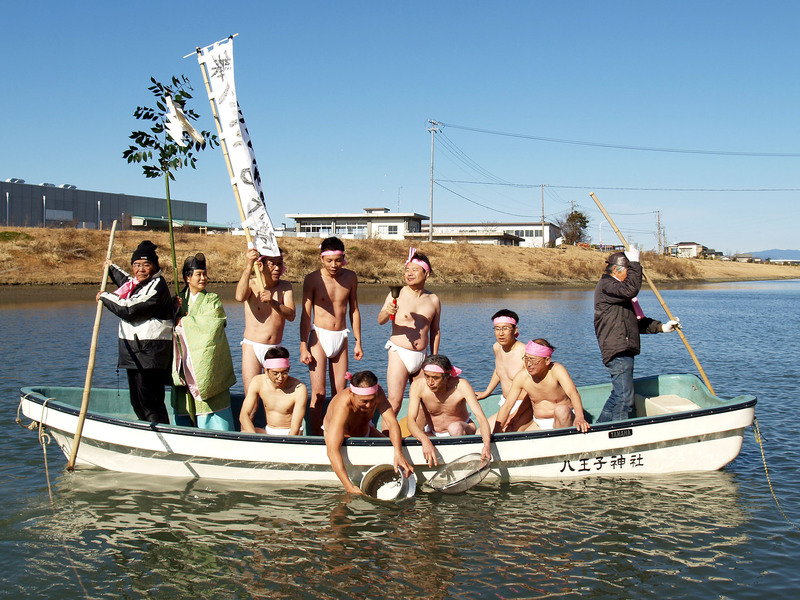 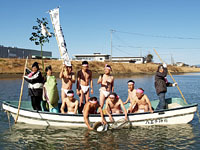 The beginning of spring, guys of loincloth washing rice on a boat. 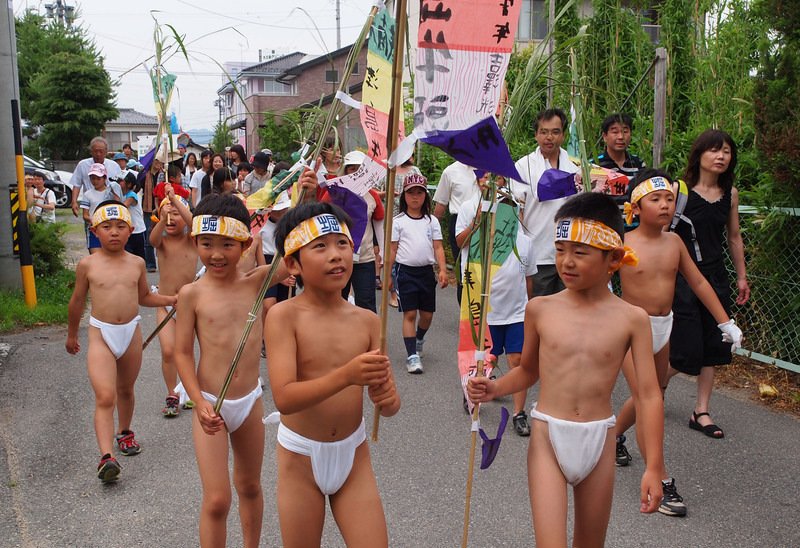 A path of green fields, children of loincloth praying a good harvest. 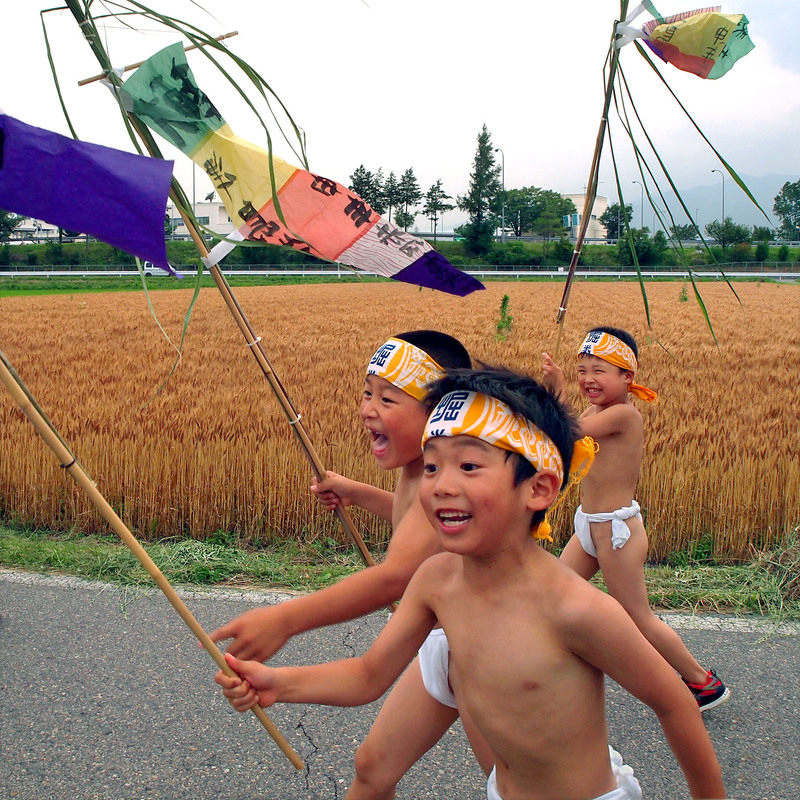 The sky curtain, a village sumo continues at the ring.